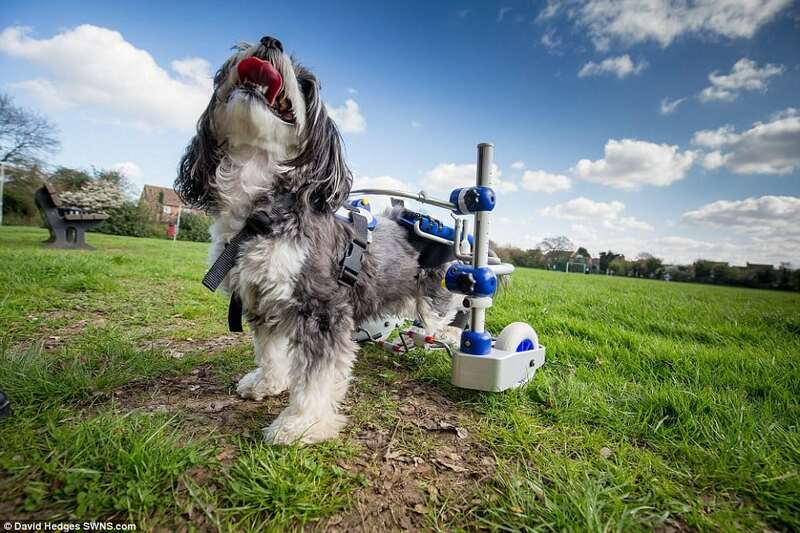 A dog which was paralysed after a horrific road accident has been given a new lease of life thanks to a state-of-the-art PEDAL chair which helps her run again. 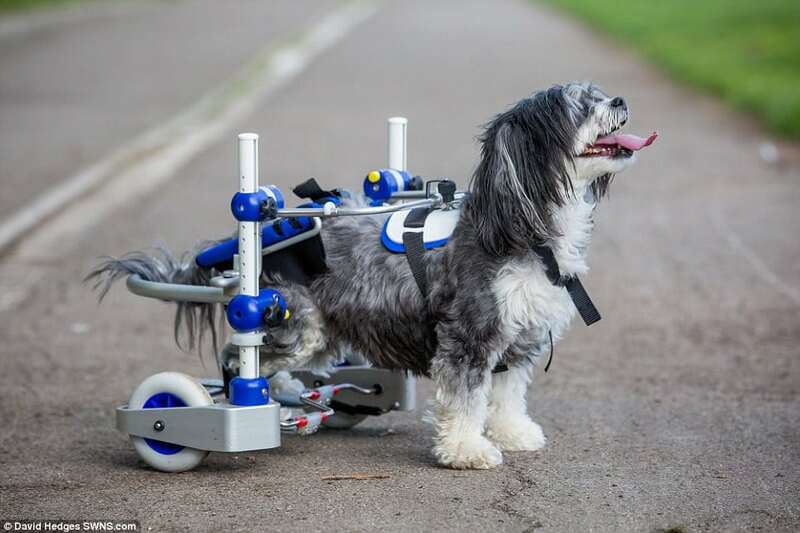 Puffy a Chinese Crested dog lost the use of her rear legs when she was hit by a vehicle back in January 2015. 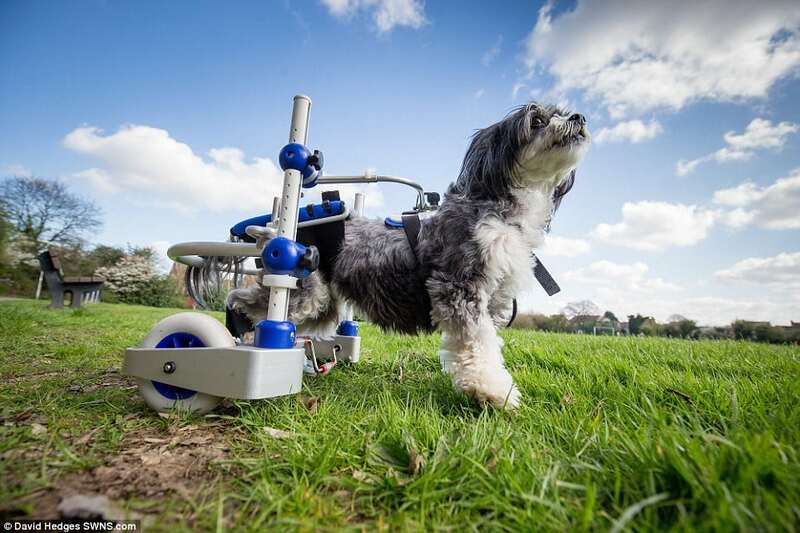 The impact of that horror accident, destroyed the nerve connection to her hind legs and there was nothing that TV’s Supervet could do to save her legs, the damage was simply too severe. 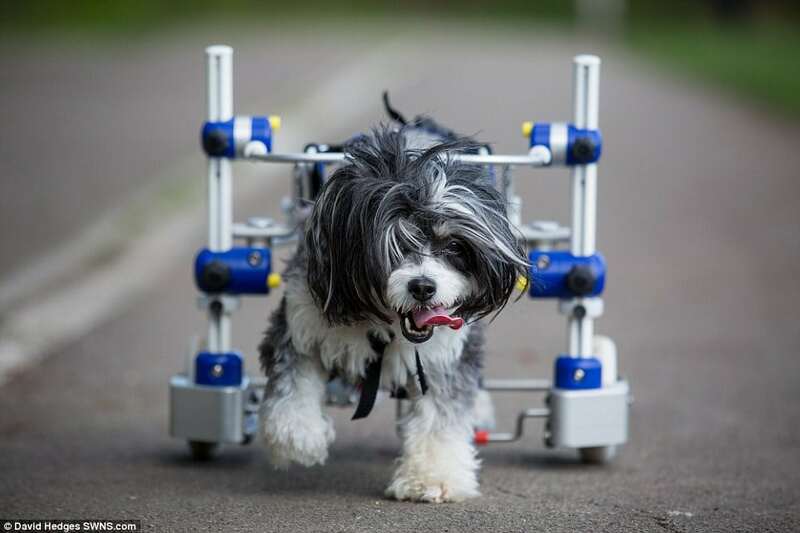 But owners Michael and Danielle Cass refused to give up on their disabled pet who they took on after Danielle’s mother Jo’s died.They wanted to give the dog the best life they could. 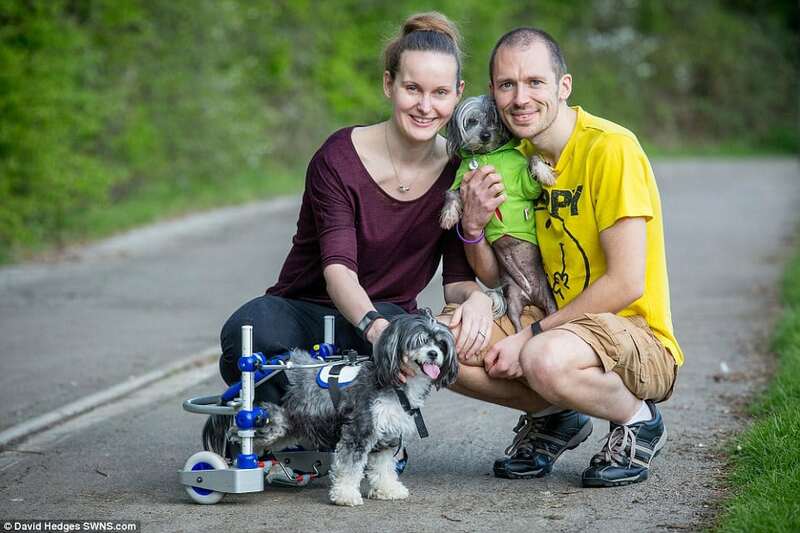 Michael and Danielle then set up a crowdfunding appeal which was picked up by their local newspaper and they soon hit their target. 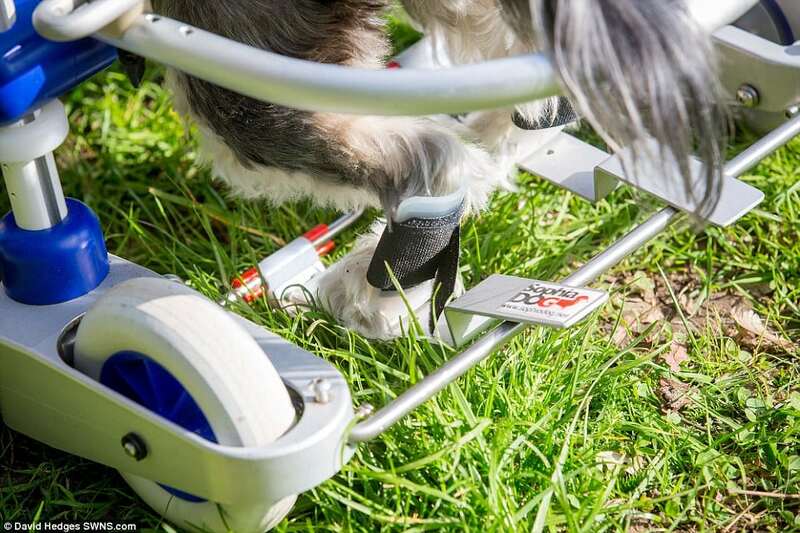 Puffy is now far more mobile when using the Kerdog pedal cart – with her front legs driving the wheels which are connected to her rear legs. Michael, from Berkshire said: ‘We were completely overwhelmed and humbled, by not only the number of donations we received, but how generously people we’re giving.